For many music teachers, December in the music room means The Nutcracker! 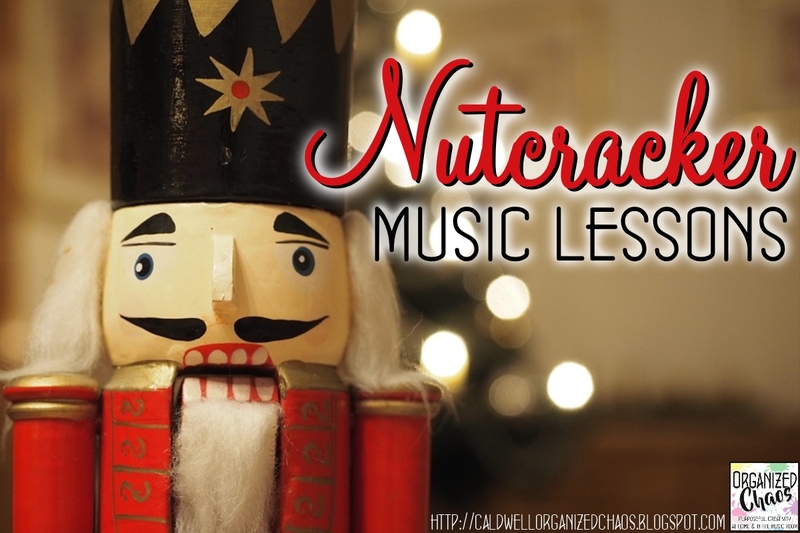 Today I want to share some of my favorite lesson ideas using The Nutcracker that I love doing with my elementary students, and I'm also including a link-up at the end of the post for other bloggers to share their favorite Nutcracker lessons, so be sure to check those out as well! I've shared this before but it is still my favorite Nutcracker lesson. I created these movements to go with the March, Trepak (Russian), and Sugar Plum Fairy music a few years ago. Not only are they great because they are active, but they are a great way to reinforce the form in each movement as well as other musical elements like articulation. This one is great for reinforcing form as well, but it's also the perfect way to practice steady beat and rhythm and break out those instruments! This play-along video by Denise Gagne shows rhythms and steady beat sections for students to play on instruments to go with the Nutcracker Overture. For upper elementary students, I like to introduce the concept of arranging with these examples of totally different versions of the Sugar Plum Fairy. First we watch each of the videos, and discuss what elements were the same and which were different (what things can you change without changing the song itself?). Afterwards, I have students create an arrangement of a simple song (like Jingle Bells) in small groups to perform for the class. Besides introducing students to the concept of arranging, it's also a great way to review music vocabulary through the discussion of musical elements. What are some of your favorite lessons using The Nutcracker? If you're a blogger, please link up your (non-product heavy) posts below, and I'd love to hear everyone's favorite ideas in the comments! Want more? Sign up here for the Organized Chaos Newsletter to get ideas and resources sent straight to your inbox. You can also check out my complete general music curriculum resources here! Thank you so much for these wonderful variations! My students has so much fun comparing and contrasting each one! I'm so glad! We always have fun with these, and it provides some opportunities for great discussions, integrating music concepts and vocabulary, which is always a nice side bonus ;) Happy holidays!